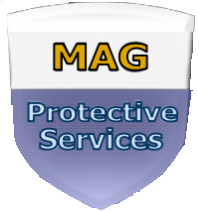 As your security professional, MAG Protective Services is responsible for all security functions: screening, interviewing, hiring, managing personnel, as well as ensuring security coverage. MAG verifies previous work history, employment references, driver’s license history, criminal record history and ensures applicable state licensing procedures are adhered to. We are dedicated to recruiting and hiring personnel who portray characteristics of integrity, accountability, and professionalism.